Labour's proposed network of post banks is part of a plan to create a financial system that serves society, rather than the other way around. Amidst growing speculation about an impending general election, today a report published by Labour on a new public banking ecosystem provides a timely reminder of why fighting for a transformative Labour government is so important. Ten years on from the global financial crisis and the established banks tanking the UK economy, the banking sector still doesn’t work for the majority of people in this country – despite owing its continued existence to the largest public bailout in history. We have a massive problem of under-investment in the real economy, small and medium enterprises (SMEs) struggle to get access to the finance they need, communities across the country have been deserted as bank branches have closed and payday lenders have become a fixture of the high streets left behind. When this is the economic backdrop, it is little wonder that messages like ‘take back control’ have such resonance. For all of the money spent on rescuing the banks and the lack of public trust in the sector as a result of continued scandals, the coalition and Conservative governments have shown little understanding of these problems and even less appetite to do anything about them. But it’s increasingly clear that these are issues that any mildly progressive government cannot duck. In 2016, public and private investment levels in the UK stood at 17% of GDP, putting us 24th out of 28 EU countries and a lowly 118th in the world. This is despite the success stories we’re often told about our financial sector. For much of the past half a century, while that sector has grown dramatically, the level of investment in the UK has been falling. There is a growing recognition of the direct link between low productivity and stagnating wages on the one hand, and the financial sector becoming completely untethered from the real economy on the other. In its 2017 manifesto, Labour put forward three key policies to address this that today’s report builds on: setting up a national investment bank; looking to keep RBS in public ownership, and using the public stake to refocus it on socially-useful activities; and establishing a new publicly-owned post bank through the Post Office network. Together, these form an agenda to transform the banking sector and the rest of the economy. While these are all equally important elements, the proposal for a post bank is worth focusing on. As many people will point out, this isn’t a new idea – there are countless examples of successful banking operations being provided through post office networks around the world. Almost a fifth of all adults globally have a current or savings account with a post office. The UK’s own version, Girobank, was of course privatised as part of the great fire-sale of public assets by the Tories in the 1990s. But the model put forward today is an ambitious vision for the future that can address the problems of the financial sector and wider economy. With a bigger network of branches (through the Post Office) than any of the existing banks or building societies in the UK by far, a post bank would be embedded in local communities, given a decentralised decision-making structure and have a specific mandate to support SMEs and social enterprise, tackle financial exclusion and promote inclusive economic development. In this way, and by acting as a lending arm for the proposed national investment bank, it would not just provide a progressive alternative to existing high-street banks, but would drive wider economic change. Like the rest of Labour’s proposals on public ownership (of mail, rail, water and energy), public representation and democratic control would be at the heart of the post bank ensuring it delivers on these aims and puts the public interest ahead of maximising profits. 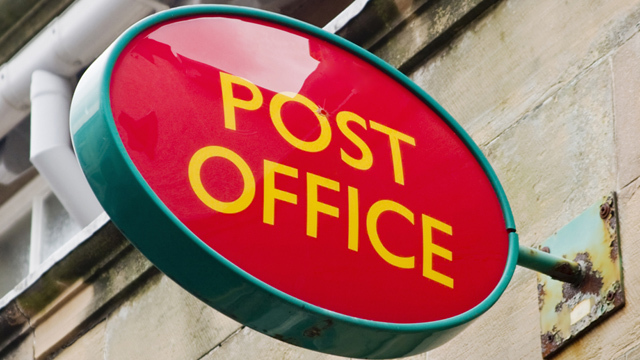 While the Tory government has been content to preside over the managed decline of the Post Office network, a post bank would put it back on a sustainable footing. None of this should be controversial. While a break from a banking system grounded in financial speculation would represent a radical departure for the UK, the truth is it represents mainstream thinking in many countries around the world. It is the UK, with stagnant wages and productivity, that is the outlier. And it’s the Tories that have subjected us to this broken economic model, with finance at its heart. For too long this vital part of our economy has been left in the hands of the big banks and speculators. The report today demonstrates Labour’s commitment to putting it back into public and democratic control. Andrew Towers is Head of Political Strategy at the Communication Workers Union (CWU) and vice-chair of trade union think tank CLASS.